If you are considering a trip to Spain, there is no doubt that Barcelona is a destination on your bucket list. The city of Barcelona has plenty of sites to see, and especially during the summers, with beautiful weather, and views of the city and coastlines. You can easily venture to the beaches and quaint coastal towns in South of Spain. 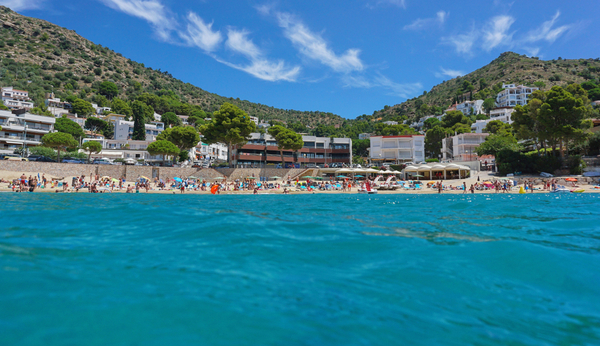 Perhaps you would like to explore a day trip or weekend getaway along the Costa Brava. 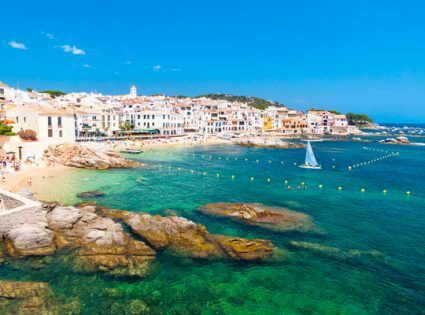 You may be a bit surprised at how many adorable little towns there are that are just a quick commute away from the big city of Barcelona. Tossa de Mar is a beautiful little town on the Costa Brava. 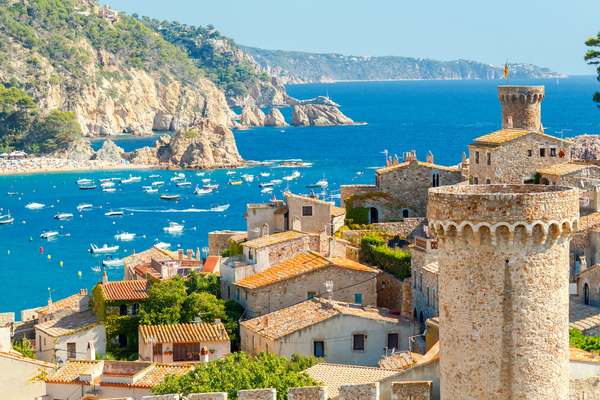 Costa Brava is a little over an hour away from Barcelona. You can reach it easily by bus, train, or rental car. We took the car which was really nice because the road twirls around the hills in a slalom that unveils many nice beaches and a beautiful rich green landscape. What stands out most in Tossa is the ancient castle that sits on a hill directly at the beach. Walking up to the castle you will have beautiful views of the sea and the town. There is also a restaurant and a bar on this hill from where you can enjoy the view over dinner or drinks. The center of town is made up narrow cobblestone streets and along the beach, you will find plenty of restaurants and bars, as well. On the first Saturday in a long time that I didn’t have anything in particular to do, myself and two friends asked around for suggestions on the Costa Brava. Most people told us that the Cala de Canyelles was worth a visit, so off we went in the morning. We took a bus from Barcelona’s Estación del Nord to Lloret de Mar and from there we took a boat to the bay. I was in awe when we got there. It was unbelievably gorgeous. The sand on the beach is rather chunky, the bay is surrounded by lots of green and if you look to the sea on the left side, the beach ends at a steep rock wall. With the waves crashing and the green all around the view is stunning. For a snack or a drink, there is a nice chiringuito bar with comfortable couches from where you have a great view over the water. If you would like to escape the crowded city of Barcelona, consider planning a day-trip to one of the beaches along the coast outside of the city. They are easily reachable by public transportation. These are just two personal recommendations, but there are more beaches to explore.